Browse all Speakers Bureau members whose subject matter is Plants. I serve as the Science Instructional Specialist with North Thurston Public Schools. I have 26 years of experience in North Thurston Public Schools as a middle school science teacher at Nisqually, Chinook and Komachin Middle Schools. I have served as the districts secondary science instructional specialist since 2008. I love the opportunity to support and work with teachers of all levels on engaging their students in inquiry and field-based based science. I graduated from Whitworth College with a Bachelors in Biology and Psychology and have a Masters Degree from St. Martins University in Curriculum and Instruction. I am National Board Certified in Early Adolescent Science. My responsibilities include coaching and mentoring science teachers, professional development, science curriculum development and alignment to the Washington State K-12 Science Standards, and our district transition into the Next Generation Science Standards. 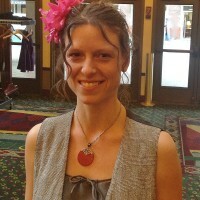 Carrie Ziegler – Artist, Environmental Educator, and Community Engagement Specialist. Art is an incredible tool for change. It penetrates deeply inside of the viewer, encouraging them to ask questions they may otherwise avoid. My artwork strives to bring issues of Environmental and Social Justice and personal development to the front of the viewer’s experience. Whether I am working on a large-scale participatory art installation, a public mural, or am in my studio creating with various materials, my work revolves around these subjects. To affect positive change through art is my quest. In my work, the subject matter drives the medium. When working on a project about plastics in the ocean, up-cycled plastic is the obvious choice. When working to beautify a bike trail in an industrial zone, paint transforms a graffiti-filled wall into something magical. What links my work is the inclusion of many people in the creation and the goal of engaging viewers and inspiring them to make a positive change in their own lives. My recent projects have included hundreds of people in their creation, allowing for a project that is much larger and wider of scope than any I could do alone. These projects give ownership to all involved, and inspire the viewer through the story of their creation. There are countless layers woven into the pieces, compelling the viewer to delve deeper, if they so choose. For example, when people view the suspended installation, Rise Above Plastics: The Butterfly Effect, they are first mesmerized by hundreds of butterflies gently spinning and reflecting the light. When they notice that together, the butterflies form a human figure, emerging from a chrysalis, with butterflies of change flying from her heart, they are overcome with awe. When they hear the story of how the piece was made of up-cycled plastic trash, by 700 children and young adults, as a message of hope and inspiration, of personal choice and empowerment, they are mobilized to ask questions and look at their own actions and how they are personally affecting the world. 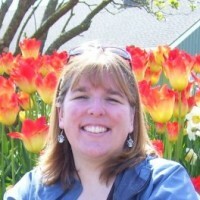 Cori Carlton is a Program Coordinator with WSU Thurston County Extension. She manages the Master Gardener program and the Master Composter Recycler program. Kim is a Program Specialist with the City of Olympia’s Waste Resources Division. John Hayes is the Director of the Mount Rainier Institute. John started leading the effort to establish Mount Rainier Institute in 2012. Before coming to western Washington, John was the Executive Director of another residential environmental learning center in partnership with the Nation al Park Service at Dunes Learning Center. 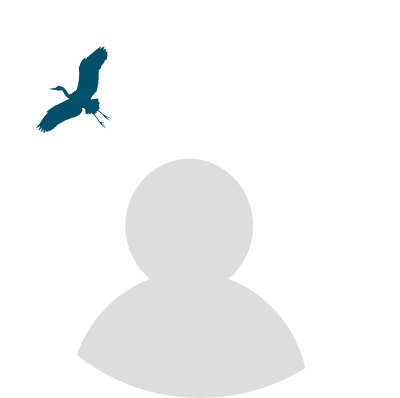 He has worked in the Environmental Education field for over 20 years. He has taught and coordinated environmental education programs in Vermillion County Illinois, and for Indiana University’s Bradford Woods. 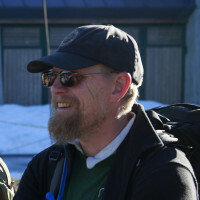 John also worked at Teton Science Schools in Wyoming where he was part of their Graduate Faculty. Donna Buxton is a Hydrogeologist and manages the Groundwater Protection and Reclaimed Water Programs for the City of Olympia’s Public Works Department. Stephanie is the Ecosystem and Salmon Recovery Coordinator at the Puget Sound Partnership. Daniel Einstein serves as the Chairman of the Board for Olympia Coalition for Ecosystems Preservation. 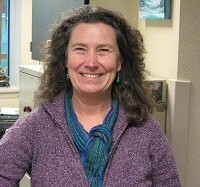 As an environmental educator since 1986, Erica has led WSU Thurston County Extension’s water resources efforts since 1997, providing classes for over 2,000 landowners and professionals annually. She has designed and installed numerous Green Stormwater projects and produced several publications and videos to support Green Stormwater/LID efforts by a variety of audiences. Her masters is in ecological restoration with a focus on the Salish Sea nearshore. Davy Clark is an Education Coordinator at the Nisqually National Wildlife Refuge. Sheila Wilson, program director for Nisqually River Education Project, has experience in SCUBA diving, scientific research, community organizing, classroom teaching (preschool through college), and environmental education. 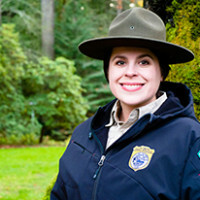 As Program Director she has successfully written and implemented grants for water quality monitoring, riparian habitat restoration, salmon carcass tossing/nutrient enhancement and the Eye on Nature program, a field investigation that teaches students how to record wildlife observations as part of a larger citizen science project using eBird at the Nisqually National Wildlife Refuge. She is a mother of 3 amazing children and loves running, hiking, biking, horses and camping. 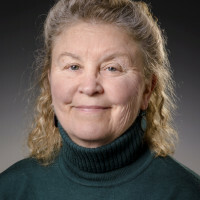 Jean serves as a senior scholar at the Evergreen State College’s Washington Center and directs the Center’s “Curriculum for the Bioregion” Initiative. From 2000-2004, she co-directed (with Barbara Leigh Smith) the National Learning Communities Project, a Pew Charitable Trusts-funded initiative aimed at strengthening learning community programs and communities of practice nation-wide. In 1985, she was one of the founding directors (with Smith) of the Washington Center. In that capacity, she supported campuses in Washington and throughout the nation in launching curricular learning community initiatives and was centrally involved in the Center’s other projects, focusing on cultural pluralism and academic success for students of color, and mathematics and science reform. Daniel coordinates a range of education and outreach programs for the Nisqually Reach Nature Center. Fabiola Greenawalt joined The Russell Family Foundation in 2010 as an executive assistant providing administrative support to the Chief Executive Officer and his Leadership Team. In May of 2013, Fabiola transitioned to the position of program associate working in the environmental program. In January 2015 Fabiola was promoted to Program Officer where she manages a portfolio of grants and community relationships, and provides program and project support. 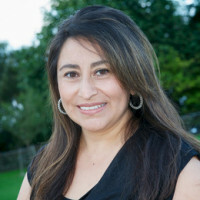 Previously, Fabiola was the senior executive assistant at the City of Seattle Department of Neighborhoods where she performed duties to support the department director, worked on special projects and represented the Department at various initiatives. She was an active member of the Race and Social Justice Initiative and committee member of the Seattle Latino City Employees. Terri serves as the Supervisor of Curriculum (K-12 Math/Science & Highly Capable Program). 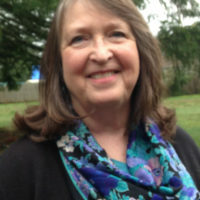 Ellen Short-Sanchez works for The Evergreen State College and serves as the Director of the Center for Community Based Learning and Action. Lydia works for the WA State Department of Ecology in the Water Quality program. Dianna is the WSU Extension Coordinator for 4-H Youth Development in Thurston County as well as the State Coordinator for Washington 4-H International Exchange. 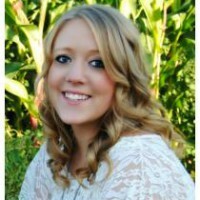 As WSU 4-H staff she practices and teaches experiential learning, positive youth development, and youth-adult mentoring. Dianna has been an environmental educator and naturalist for several decades, and has degrees in Human Development and Outdoor Education. 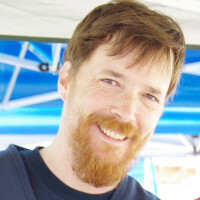 Chris Van Daalen works with the NW Eco Building Guild, Commons @ Fertile Ground, and the Verdant Group consulting firm. Rachel Friedman works for Sustainable South Sound and Motion in Balance Studio. Addie serves as the Philanthropy and Outreach Coordinator for the South of the Sound Community Farm Land Trust. Representative on the Washington State Envirothon Committee. 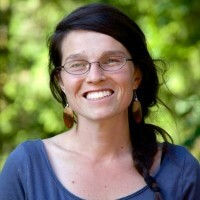 Sarah graduated from The Evergreen State College in 2011 with a Bachelors in Environmental Science, focusing in Natural Resources Science Education. She has additional skills in outreach, marketing, event coordination, educational material development, and water quality monitoring. Ron Jones works for the City of Olympia Public Works Department in their Waste Resources Division. Mindy Roberts is an environmental engineer with the Washington State Department of Ecology’s Environmental Assessment Program. 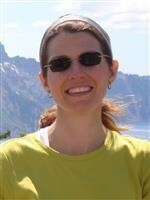 She manages several large studies that analyze human impacts on Puget Sound as well as the region’s lakes and rivers. She has a BS in Civil Engineering from the University of California, Berkeley, an MS in Civil and Oceanographic Engineering from the Massachusetts Institute of Technology and Woods Hole Oceanographic Institution, and a Ph.D. in Civil and Environmental Engineering from the University of Washington. She has over 20 years of experience working on complex scientific studies. Mindy is a registered professional engineer in the State of Washington and the Commonwealth of Massachusetts. 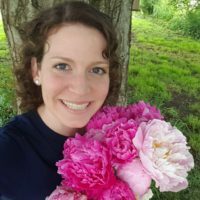 Erin Conine is the Water Conservation Program Coordinator for the City of Olympia. Works as an Education and Outreach Specialist for Thurston County Public Health and Social Services Environmental Health Division. She offers presentations and trainings to schools, community groups, and businesses on toxics reduction, healthy homes, septic systems, natural yard care, and more. While this is my first year at Nisqually Middle School, I have been teaching either students or teachers for the past 18 years. Prior to joining Nisqually Middle School, I worked for Pacific Education Institute. I earned my undergraduate degree at Texas A&M University and have a master’s in Technology in Education from Lesley University. My past work experiences have given me the opportunity to travel the state and work with teachers and curriculum writers in the fields of Environmental Studies and STEM. This year, I look forward to combining Science, Technology, Engineering and Mathematics (STEM) as my students work together to solve real-world problems! Mike serves as the Stewardship and Restoration Coordinator for Capitol Land Trust. 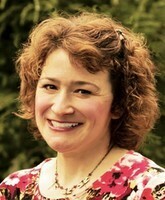 Meridith Greer is the Water Resources Educator for the City of Tumwater. 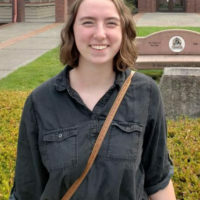 Meridith graduated from Willamette University in 2018 with a B.A. in Environmental Science and a minor in Politics. She worked for four years for the City of Salem as part of their stormwater program before joining the City of Tumwater. Meridith works to educate members of the public on stormwater/surface water, drinking water, groundwater, and wastewater, as well as works closely with regional partners as part of the Stream Team program.